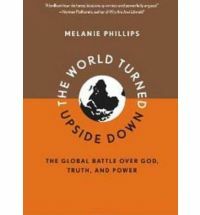 Anyone who has endured a university seminar series devoted to exposing the failings of the West, its racist and sexist “othering” of non-Western cultures and its complicity with the evils of neo-liberal capitalism, will open Melanie Phillips’s new book (The World Turned Upside Down) with a mixture of relief and foreboding. Relief that an award-winning, London-based journalist like Phillips understands the extent of what she terms “the intelligentsia’s” betrayal of the core Western values of freedom and reason. Foreboding at the implications of this betrayal for the survival of the Western, secular, democratic project. Phillips came to prominence with her exposure of how radical Islamism had permeated the United Kingdom and transformed “Londonistan” into the epicentre of Islamic militancy in Europe. She now turns her attention to the larger question of whether Western civilisation actually wants to defend reason and modernity any more or “whether it has reached a point where it has stopped trying to survive”. The prognosis is not good. As Phillips explains, her growing perplexity and cultural disorientation arose from the fact that “public discourse has departed sharply from reality”. Thus over a range of contemporary issues from the war on terror to manmade global warming as well “as the phobias and isms” like homophobia, racism and sexism, the intelligentsia, aided and abetted by a compliant media, has radically circumscribed public debate. Increasingly, as anyone teaching in an Australian university knows, there can be no dissent from a ruling, grant-supported orthodoxy that is incontrovertibly true and right. Except of course that it is not. How is it, Phillips rightly asks, that the academy that ostensibly stands for freedom and reason has perverted its constituting understanding? Modern universities, after all, developed as “crucibles of reason and the supreme guardians of free inquiry and debate”. When universities persecute those who dissent from what Hannah Arendt termed the “tyranny of the single truth”, a shocking betrayal of academic integrity and the values of a free society has taken place. Phillips traces—with a classic journalistic regard for the facts rather than fashionable academic and media shibboleths—how systemic distortion, antithetical to both reason and truth, has prevailed in the academy. Using a series of well-researched case studies upon subjects as diverse as global warming, the war in Iraq, the treatment of Israel, and the science informing a neo-Darwinian atheism, she uncovers a disturbing intellectual practice that perverts reason, logic and evidence in favour of irrationality, prejudice and ideology. So much is this the case that on these issues “the Western mind has been closed tightly shut”. Beginning with anthropogenic global warming, Phillips discloses a pattern of denial and distortion that renders the case for the human contribution to global warming at best questionable and at worst unsustainable. Yet, troublingly, revelations of the systematic distortion of evidence perpetrated inter alia by the Climatic Research Unit of the University of East Anglia and the United Nations International Panel on Climate Change do not lead to a properly scientific conclusion that new facts have falsified and rendered obsolete a once-plausible thesis. Instead, a consensus of grant-supported climate scientists resort to hysterical claims concerning the planet’s imminent demise adumbrated by increasingly shrill denunciations of those who deny their incontrovertible truth. Myth posturing as science has prevailed. Phillips detects an analogous pattern of denial in those who, like Richard Dawkins, promote an atheistic materialism as the only proper basis of scientific inquiry. For Phillips, this attempt to prove the non-existence of God leads paradoxically to the province of unfounded assertions and the promotion of scientism rather than science. In their refusal to accept the scientific limits of materialism, neo-Darwinists share with global warmists a propensity to Soviet-era Lysenkoism (after the Soviet geneticist Trofim Lysenko), where a forcibly instilled illusion takes on an existence of its own in people’s minds, despite all evidence to the contrary. Doubting Darwinian materialism or climate change invokes penalties for deviationism not dissimilar to those enforced in the old Soviet academy: denunciation, loss of tenure, and ostracism. Distortion and myth-making characterised the media treatment of the war in Iraq. Here Phillips contends that selective reporting created an orthodoxy that the coalition went to war on a lie. Not only claiming that Saddam had presented no threat, the intelligentsia, in the face of widespread evidence to the contrary, further maintained that the West confronted “no systemic terrorist threat at all”. The process of misrepresentation extended after the demise of Saddam to the misrepresentation of Israel and the treatment of Palestine. Here the intelligentsia bought the Arab-Muslim narrative about Palestine and presented a conflict, subjected to an unprecedented level of scrutiny, in a way that drives out inconvenient facts. Thus, the media downplays the fact of a Jewish presence in Palestine since 1300 BC, and ignores the fact that Israel is the only functioning democracy in the Middle East, whilst tired myths about the Israeli occupation and the treatment of the Palestinians are endlessly recycled. The media holds Israel, uniquely amongst states created since 1945, accountable to a different standard of public morality despite being engaged in an existential struggle for its survival. The intelligentsia as a whole, Phillips contends, has swung behind an anti-Israel, pro-Third World ideology. In the process it has come to empathise with an Islamist view of Israel which, following the paranoid vision of the central Islamist thinker Sayyid Qutb, presents the Jew as the virus that incubated the “hideous schizophrenia” of Western modernity. This Islamist view, as Phillips shows, obviously shares an elective affinity with Nazism. Equally, she contends, anti-Israeli sentiment in the West disguises an anti-Semitism “incubated in the supposed citadel of reason: the university”. Here, the work of the Palestinian-American theorist Edward Said exercises an extraordinary hold over the academic mind. Said held that an orientalist agenda to colonise the non-Western “other” informed all ostensibly objective Western scholarship of Eastern society. This conspiracy theory posturing as critical theory now dominates the academic treatment of the Middle East and feeds the “frenzy of falsification, selective reporting, moral inversion, historical fabrication, and bad faith” that characterises it. Phillips concludes from her case studies that the consistent misrepresentation of Israel crystallises a wider Western self-loathing which permeates the intelligentsia’s worldview. This ideology, masquerading as cutting-edge research and facilitated by large grants, is in fact unstitching the fabric of Western society as it undermines the pursuit of objective knowledge. Phillips’s answer to her initial perplexity therefore is that ideology has replaced reason and the disinterested pursuit of truth and has corrupted the Western project of modernity. This process, she further contends, has evolved since the Enlightenment first launched its radical assault on traditional modes of understanding and experience. Indeed, it was the Enlightenment that gave birth to the intelligentsia in the shape of the philosophes who initially proposed to recast society along abstract, rationalist lines. The rationalist style ruthlessly subordinated evidence to an unchallengeable idea. This style influenced both the Jacobins and the post-Hegelian thinkers that gave philosophic substance to nineteenth-century historicism, romanticism and Marxism. From these ideological seeds the totalitarian movements of the twentieth century germinated. this agenda of self-regard is the key to unlocking the mystery that has dogged us from the beginning … how people who profess to be so rational they will have no truck with religion have nevertheless embraced beliefs and attitudes that defy reason. Despite the conspicuous failure of the twentieth-century totalitarian projects, the cast of thought that brooks no dissent continues in the new red–green–Islamic axis that pervades Western academe. Central to its success has been its assault upon the Judeo-Christian order that sustained the conditions for political pluralism and the disinterested pursuit of reason from the Middle Ages to the Enlightenment. The crux of Phillips’s argument, then, is that the new, postmodern, political religions have fatally eroded the Judeo-Christian order that provided the moral foundation for the success of Western modernity. This order constituted the crucible that forged the capacity for reason and freedom. The post-Enlightenment attack upon this framework, adumbrated by the philosophically relativist assault on Western values, has not in fact created a more rational, pluralist or critical awareness. Rather, the relativising nihilism of postmodernism created the conditions for new ideologies of a cultist or utopian dispensation to flourish. Islamism, multiculturalism and environmentalism informed by a chiliastic millenarian purpose seek to transform the failed and messy secular democratic polity. From this perspective, however, the future belongs to ideology whether in an Islamist, multiculturalist or an environmentalist manifestation or in some post-capitalist, post-apocalyptic amalgam. But, before the imminent future transforms the corrupt present, the new world, aching to be born, exists in dualistic tension with the old. To maintain purity the ideologist must have no truck with those who dissent or cavil at the revealed truth of the Koran, the collective wisdom of the IPCC, or Dawkinsite atheism. The new order, therefore, has not lost the need for certitude or salvation. Instead the narcissistic self-regard of Gnostic cults has progressively corrupted and replaced Judeo-Christianity. In this brave new post-Christian spiritual world those who believe in Wicca, Islam or an Avatar-style fantasy world have the same faith claim as those who subscribe to the doctrines of the Christian church. Indeed, the decaying Anglican faith, as Phillips nicely demonstrates, embraces a New Age apocalyptic message. Thus an Anglican celebration of faith and the environment held at Canterbury Cathedral witnessed a performance of an oratorio, Yanomamo, based on the beliefs of Amazon rainforest Indians. It is no surprise that Phillips finds the United Kingdom media and intelligentsia at the forefront of promoting the post-Western order, the global laundry for recycling anti-Semitic views, and the “brand leader” in the assault on Western values. This is a powerful and original thesis, but how sustainable is Phillips’s argument? Clearly there is something culturally deracinating about the intelligentsia’s assault upon Western values and Phillips makes a convincing case for its essentially ideological character. However, in mounting the conservative argument in favour of the importance of the Judeo-Christian order, Phillips makes some curious claims about the evolution and political character of that order. Certainly, it is reasonable to propose that this order, and the theological inquiry into the relationship between reason and faith it facilitated, provided the context for the development of the political conditions that made possible the practices of thought that came to define the West. However, from at least the thirteenth century, the universal Catholic Church existed in dynamic tension with an alternative Greco-Roman approach to knowledge, politics and public morality. The politico-theological clash over the limits of religion informed by the re-interrogation of the classical thought of Plato, Aristotle and Cicero during the Renaissance and the Reformation created the conditions for the emergence of the modern state, a new civic humanist public morality and the practice of freedom. Significantly, Aristotle, Cicero and their political and scientific legacy hardly rate a mention. By contrast, the twelfth-century Talmudic thinker Moses Maimonides occupies, in the Phillips view, a central place in defining the Western relationship between faith and reason. Somewhat differently, in order to demonstrate the shared authoritarian style of the intelligentsia, Phillips tends to lump thinkers and ideologies together where she should perhaps discriminate between them. 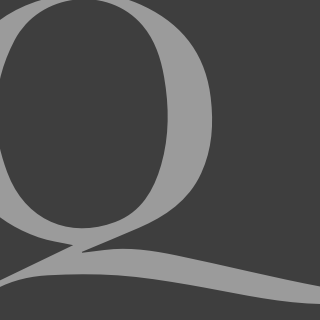 The differences between the materialistic atheism of Dawkins and the Koranically-inspired Manicheanism of Qutb are more apparent than the similarities in these styles of thought. Ultimately, despite Phillips’s insistence on the centrality of religion to the achievement of Western modernity, an atheist like Christopher Hitchens or Richard Dawkins would have little in common with the habits of thought and practice of either environmentalists, Islamists or multiculturalists. Analogously, in her somewhat attenuated account of the British and European Enlightenment, thinkers as distinctive as Francis Bacon and G.W.F. Hegel are conflated into a reductionist, materialist and relativist narrative. Bacon, we are told, somewhat anachronistically, was an ideologist, whilst Hegel held that “nothing was wholly false or wholly true”. Yet in both his Lectures on the Philosophy of World History and his Philosophy of Right Hegel not only identified a dialectical relationship between the particular and the universal, he also acknowledged, in his theoretical understanding of the Western achievement of reason and freedom, a complex dialectical relationship between classical and Christian ideas. These limitations notwithstanding, Phillips has written an important and powerful polemic. Its particular strength resides in its exposure of the manner in which the academic establishment has embraced an ideological style that has corrupted both scholarship and ethics. A cultural revolution has occurred and Phillips explores it with great skill. As she explains, we now find ourselves in a world where institutions formally committed to learning and scholarship have been reduced to a darkling plain where ignorant armies clash by night. Soft-totalitarian understandings have, as she convincingly demonstrates, also come to constrain political conduct. They are premised on a cultural relativism where all values are treated equally. The self-regarding intelligentsia has thus come to assume that subscribing absolutely to its new ethicism is somehow progressive when in many ways it endorses an absolutist retreat into tribalism. the correspondence between Western progressives and Islamists is really quite remarkable. Both are attempting to create utopias in order to redeem past sins; both permit no dissent from the revealed truth; both demonize and seek to suppress their opponents; both project their own bad behaviour onto others; both are consumed by paranoid conspiracy theories … Both have ended up suppressing freedom and imposing a tyranny of the mind. A work as provocatively conservative as this could not have been produced in an Australian or British university.